We want to thank our wonderful partners Complex Adaptive Leadership and Nokia once again -- celebrating our shared win at the EFMD awards conference reinforced how much we value their partnership and how proud we are of our shared program. Through our partnership with Complex Adaptive Leadership, our program at Nokia has seen excellent results and we are proud of the EFMD Gold Award that it has earned. If you are interested in learning more about our work with CAL and Nokia, you may read more about it in on our blog or you can download our case study here. On October 20, Abilitie sponsored the first of a series of Learning & Development Roundtables that we will host around the country. The inaugural session was in Dallas, Texas, just up the road from our headquarters in Austin. A small but mighty group of learning leaders in Dallas, Texas! 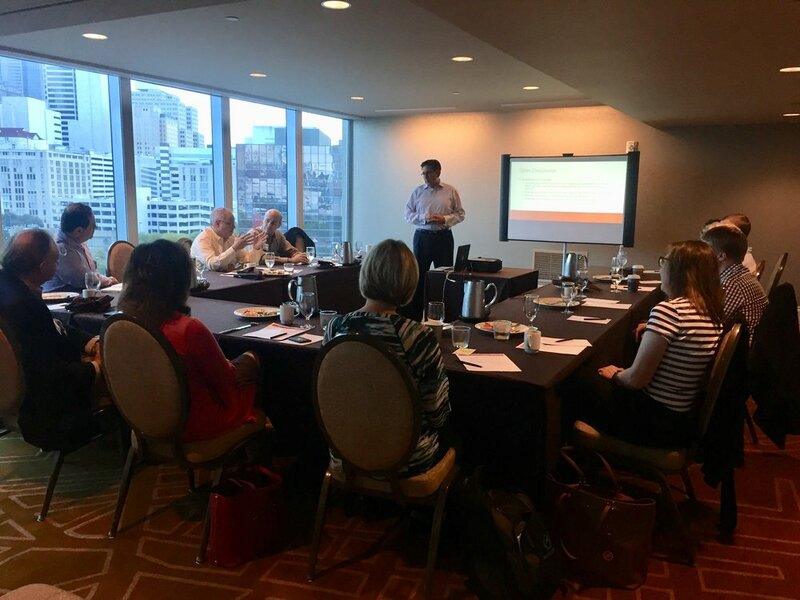 We were so excited to get together with some of our Dallas-area L&D friends last week to discuss their virtual learning best practices. Topics covered learning management systems, simulation learning, the best size cohort for virtual training (reported best practices were 24-28! ), and how to combat preconceived notions of on-the-job training. The discussion was guided by Alfredo Perez of Johnson & Johnson. Alfredo is the Global Academy Training Director for Johnson & Johnson's Corporate Strategy and Deployment Group. He led the discussion and provided meaningful guidance around the idea of "social learning". 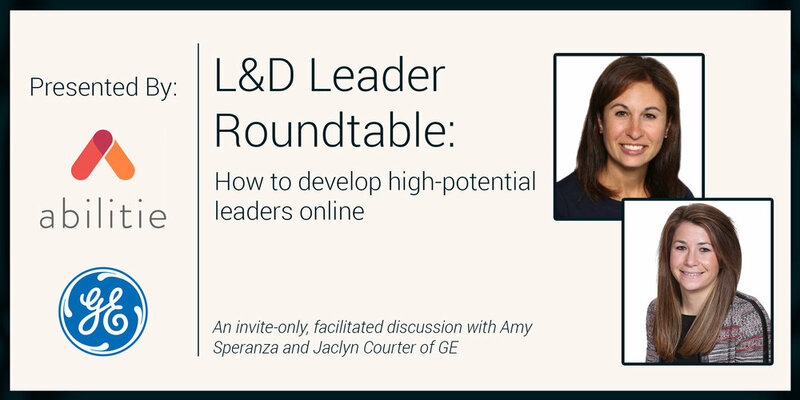 He said that learning professionals can get the most effective learning by leveraging the learning potential between professionals in his program. We completely agree. Needless to say, we learned a lot from Alfredo and the rest of the learning leaders in the room. It's always nice to remind ourselves why we love being in this business -- the people, the people, the people. 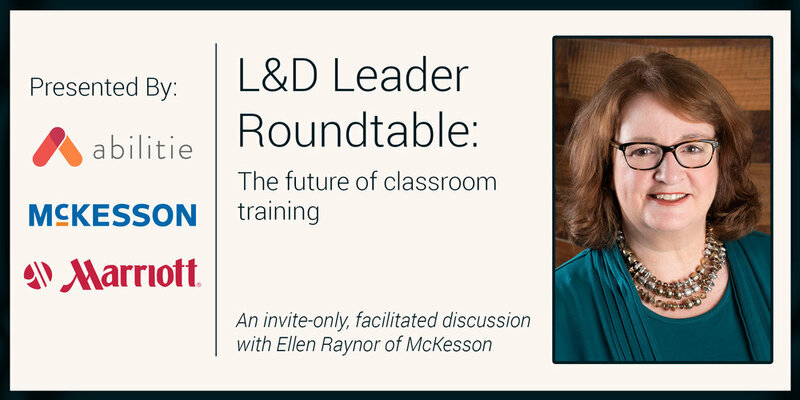 If you have any interest in attending a learning roundtable in the future, let us know! We have several planned in all regions of the US in 2018. To keep up to date on a roundtable near you, connect with us below. 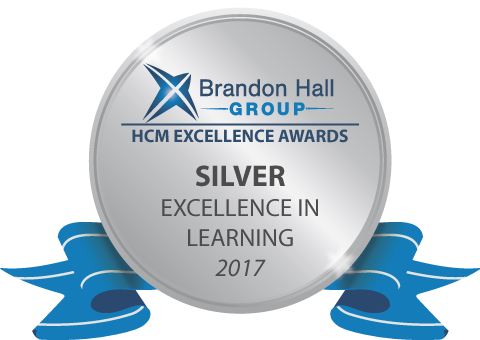 We at Abilitie are excited to announce that we have earned a coveted Brandon Hall Group silver medal for excellence in the Best Use of Blended Learning category in partnership with Western Digital. The winning program, Leading@WDC, is a hallmark example of what a creative partnership between committed organizations can create. We are honored that the hard work shared between Western Digital and our team at Abilitie has continued to pay off. Read more about the award-winning program here. “Excellence Award winners symbolize the power and impact that Human Capital Management practices can have on a business or on any organization,” said Rachel Cooke, COO of Brandon Hall Group and head of the awards program. Award entries were evaluated by a panel of veteran, independent senior industry experts, Brandon Hall Group analysts and executives based upon the following criteria: fit the need, design of the program, functionality, innovation, and overall measurable benefits. Participants of this blended learning program forged strong networks with one another and built trust. This trust is essential, and we at Abilitie believe that engaging, challenging, and rewarding learning programs are among the best ways to build it.